Dr. DiMarco is a Professor of Physical Medicine and Rehabilitation and Physiology at Case Western Reserve University in Cleveland, Ohio. He is Board Certified with the American Academy of Sleep Medicine, and accredited in Sleep Medicine, Pulmonary medicine and Critical Care medicine. 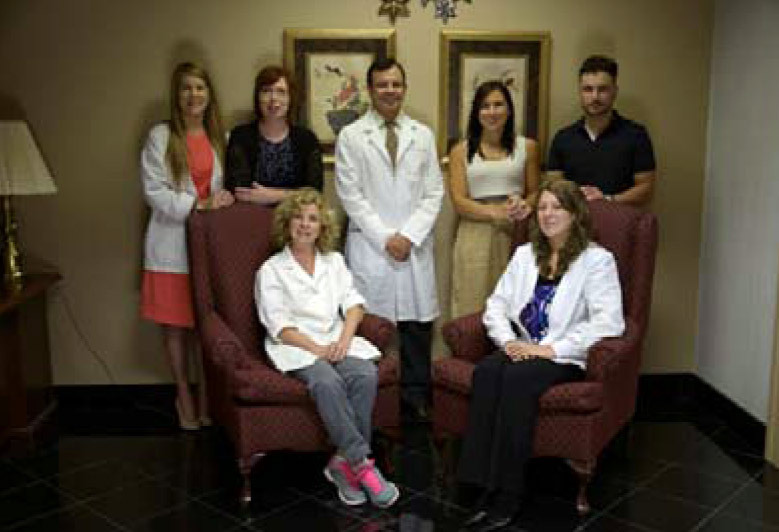 The Sleep Disorders Center, under the direction of Dr. DiMarco, F.C.C.P., D.A.A.S.M., a sleep specialist and Diplomate of the American Academy of Sleep Medicine, has been serving the local community for the past 15 years. Dr. DiMarco established the Geauga Sleep Disorders Center for the diagnosis and treatment of various sleep problems such as Obstructive and Central Sleep Apnea, chronic snoring, Insomnia, Narcolepsy, Sleep walking and Restless Legs Syndrome. Dr. DiMarco graduated from Tufts University School of Medicine in Boston, MA. He served as the Chief Medical Resident at a Harvard Medical School Affiliate hospital in Boston, MA prior to serving as a NIH Research Fellow in the Pulmonary and Sleep Medicine Division of Case Western Reserve University (CWRU) in Cleveland, OH. He also served as a visiting scientist at the Karolinska Institute for Neurophysiology in Stockholm, Sweden and has more than 20 years experience treating sleep disorders. Currently, Dr. DiMarco serves as a Professor at Case Western Reserve University and has privileges at University Hospitals of Cleveland, Geauga Medical Center, Bedford Medical Center and Lake Hospital Systems, among other appointments. He regularly provides lectures on respiratory medicine and mentors students at Case Western Reserve University School of Medicine. The nationally recognized author and speaker also serves on numerous local, state and national professional organizations and committees including, American Academy of Sleep Medicine, International Thoracic Society, American College of Physicians, American College of Chest Physicians, Ohio Thoracic Society, Northern Ohio Lung Association, American Paraplegia Society, and is a member and past president of the Geauga Medical Society. Dr. DiMarco has received numerous awards for his medical achievements and owns many patents including a pending patent for an apparatus and method for prevention of snoring. Notably, Christopher Reeve, the famous actor sought out Dr. DiMarco and benefited from his research to restore breathing in quadriplegics. Remaining at the forefront of new therapies for obstructive airways disease including asthma and COPD, including chronic bronchitis and emphysema, Dr. DiMarco also participates in cutting edge national and international drug trials.